Illegal parking spiked around Parkgate Street when the Criminal Courts of Justice opened. Marked Gardai cars continue to block footpaths to the extent that parents with prams resort to asking an official gardai account on Twitter to remove them. Around Coningham Road, also seems to be affected by parking from the Courts. 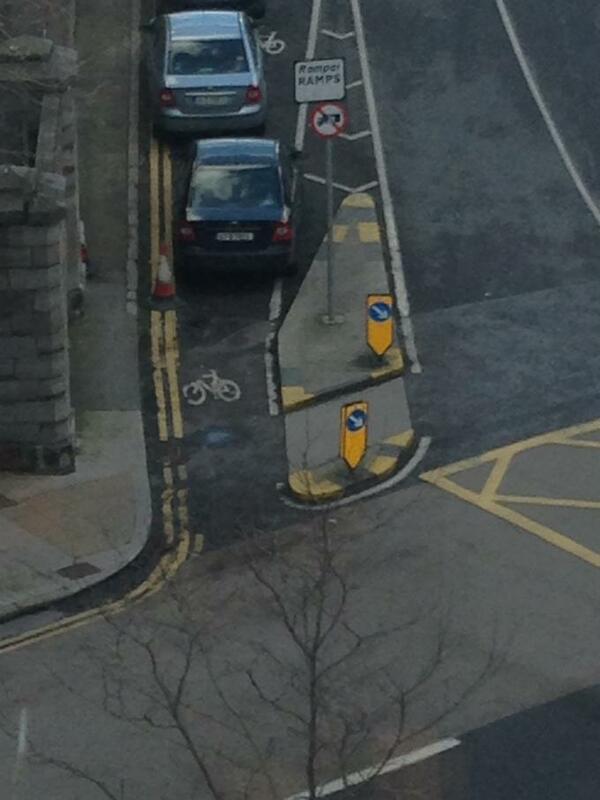 The riverside part time cycle lane seems run through pay/display parking spaces. Makes no sense at all. This highlights the failure in the planning system to factor in car parking when building a much used building such as a courthouse. A limited underground/overground multi-storey car park should have been built together with strict parking restrictions in surrounding area with no exceptions, even for police. Every incentive should be used to encourage people to use mix of walking, cycling and public transport.